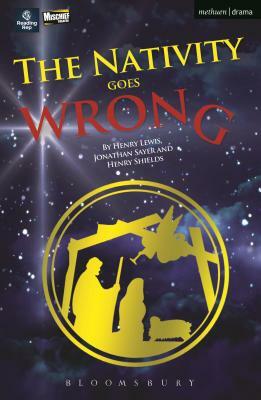 The Nativity Goes Wrong (Methuen Drama Modern Plays) (Paperback) | The Drama Book Shop, Inc. The Christian Humanitarian Reading Initiative for Spiritual Theatre (or C.H.R.I.S.T. for short) are putting on a production of The Nativity Story. It's opening night and nothing is going to plan. Despite a collapsing manger, a deranged donkey, and a director on the brink of hysteria, the show must go on. This hilarious tour-de-force is the second farce from Theatre Mischief, creators of the critically acclaimed The Play That Goes Wrong. Once again, we watch as order unravels itself and pandemonium ensues in a piece that will be loved both as a piece to perform and one to watch. The Nativity Goes Wrong received its world premiere at Reading Rep on 22 December.